Today is the 200th anniversary of George Boole‘s birth. Boole (1815-1864), born in Lincoln, England, was a self-taught mathematician. In 1849 he became the first Professor of Mathematics at University of Cork, Ireland where he wrote his most important work, An Investigation of the Laws of Thought. But I didn’t know much about him. I remember being taught about булева логика in year 5 of school by my favourite maths and computer science teacher (and being amused ten years later that this term was the same in English, “boolean logic”). Now I know a bit more! So thanks Google for this random mathematical history fact! 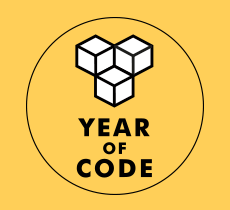 Did you know it was the Year of Code? I can’t really code. But it makes life so much easier (and cheaper). If your job requires using computers for anything, then learning a bit about coding will help you do more stuff, not rely on others for help, be faster and more efficient on the computer, and, eventually, spend less time on it. And it’s fun because you get the computer to do things. It’s like training a dog – only in fact you are training yourself, and not the dog. Strangely, I haven’t been able to find much research about the addictive potential of coding, apart from this now old book from 1989 by Margaret A. Shotton and this book about Hackers by Paul Taylor – although several friends who have done programming swear that it can be a highly addictive activity. Well, it’s not that much fun, if you have health problems with your hands, arms, joints or back like me, so it is a bit of a Catch 22. This – and also the fact that I ended up working as a social scientist specialising in qualitative research – is why I don’t know much coding. Thankfully, my friends do, and so does Google. By pestering friends and Google I’ve been able to do some small bits of HTML coding, and write hundreds of pages in LaTeX (without losing any work or ending up with hideous formatting – MSOffice, it’s your turn to blush). I tried to learn R last month and although it didn’t go very well, I’ll go back to it soon, because there are some awesome extensions for R that don’t exist on “button-based” data analysis programmes, made “especially” for us, social scientists… One in particular, TramineR, is so awesome and relevant for my work that I’m dreaming of being able to use it. Not to mention how often SPSS and NVIVO crash and how expensive they are for anyone who isn’t attached to a rich institution which can buy the packages for its employees. And- meh – they don’t work on Linux, while R and LaTeX have no problem with different platforms. I really think that social science students and researchers in the UK, in general, could do with more knowledge about how to use computers to their own benefit. One reason why the existing packages are so, well, bad, is because the market is not educated enough. I’m told that the quality of coffee in the UK has soared in the last two decades. Why? Because consumers have become more demanding. I’m sure that one day when more social scientists and other people who need computers for their daily lives start being a bit more discerning about the software they use, someone out there, or even one of us, will gather their wits and design better software. It might be a better idea to get a keen pupil teach a class on coding, and not a teacher who is new to it, but hey. If “2014 – the year of code” succeeds in getting more students and teachers to learn code, then with all its flaws it is a fantastic initiative (watch the video…but try not to headdesk when you realise that its director can’t code yet). Knowing some code it’s like knowing a bit of swimming – won’t hurt you (unless you have an underlying health condition, and even then can be beneficial under supervision), makes life more fun, and heck, it can even save your arse. So if like me you know little or no coding, do check out the Code Academy. And if your word document has ever crashed on you, have a peek at the marvellous thing called LaTeX [pronounced “leitek”].